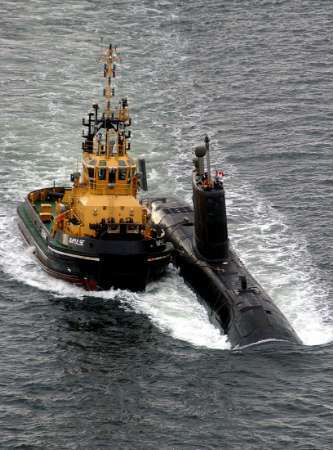 Canada has recently bought four used submarines from Britain. Last week when Canadian sailors were heading home, navigating one of them, HMCS Chicotimi, something went wrong and the boat was on fire. The outbreak cost one of the submariner's life, Lt. Chris Saunders, a 32-year-old of 2 little boys (it's terrible when someone loses his father when he's just a few month old, poor kids) from New Brunswick. The story reminds me of what happened to SSGN Kursk, the nuclear Russian submarine in 2000. Of course Chicoutimi is nothing compare to Kursk and the disaster was much worse (All the 118 crew were killed) but they share something: No one knows what caused the catastrophe.